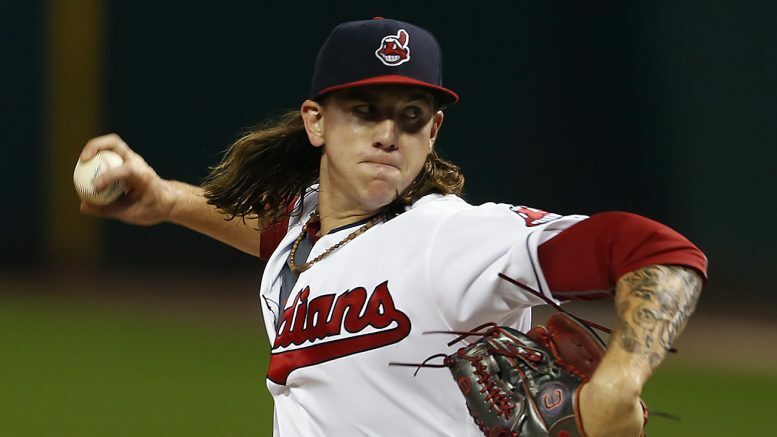 He might not quite be the second coming of Rick "Wild Thing" Vaughn, but Mike Clevinger has given Tribe fans plenty of reasons to enjoy watching him pitch in 2018. The Orioles are bad in 2018, and Manny Machado is clearly the team’s MVP. But Richard Bleier has been the true star of some of the team’s biggest wins thus far. Bleier was immense in a stunning three-out-four series win in the Bronx early in the year, racking up 5.1 scoreless innings over three games, including two victories. Bleier’s ERA was a ridiculous 0.40 until he gave up a couple of runs the other night against Tampa, but his overall numbers are stellar anyway – 3-0, 1.17 ERA in 18 appearances. His career numbers are even better, as Bleier is 5-1 with a 1.81 ERA in 98 career games, all in relief. Keeping up with this theme of unheralded relievers, Velazquez – who was just placed on the DL – has saved the Boston bullpen on many occasions this year. He is 4-0 with a 2.28 ERA over nine appearances, including two starts. He’d certainly be good enough to start on just about any other team, but when you have the kind of money the Red Sox do to build a superstar rotation, you have to settle for being the swing guy. It’s hard for any Yankee to be underrated considering how loaded they are, but somehow people still have this perception that Sabathia is old, out of shape, and simply not the guy he used to be. That, of course, is an utter load of you-know-what, because CC is going full Mike Mussina circa 2008. He simply understands pitching better now than ever before, compensating for a loss in velocity with pinpoint control and the ability to keep hitters guessing at all times. After an amazing 2017 season in which he was 14-5 with a 3.69 ERA, the 18-year vet is at it again in 2018, going 2-0 with a 2.23 ERA in seven starts, walking just five batters in 36.1 innings. Cron always flashed power during his four-year stint with the Angels, including three straight 16-home run seasons from 2015-2017 despite never playing in more than 116 games. He looks like a lock to surpass that career-best in 2018, swatting nine in just 39 games thus far in 2018 while batting .284 with an .835 OPS. He won’t confuse anyone for Albert Pujols or Ryan Howard in their primes, but he has added some thump to a Rays lineup that didn’t appear to have any when the season began. Like Bleier, Solarte is a good player whom the Yankees just didn’t have room for on their trillion-dollar roster (okay, it’s actually only about $500 billion). But the man who was once traded for Chase Headley is having quite a start to 2018, belting nine home runs in 154 at-bats for a Jays team that is off to an equally-surprising beginning. Solarte has helped make up for the absence of Jose Bautista (free agent) and Josh Donaldson (recently returned from DL). Isn’t just about everybody on the White Sox underappreciated, underrated, and unknown these days? The sad-sack South Siders don’t give fans much to cheer about, but don’t blame Davidson. Between 2014 and 2017, Davidson played in a grand total of one Major League game, but has found his power stroke in Chicago. He smacked 26 home runs last year, then opened eyes by hitting three on Opening Day in 2018 en route to 11 thus far on the year. He is one of the very few reasons to watch the ChiSox right now. In the final year of Chief Wahoo, Clevinger is conjuring up memories of Rick “Wild Thing” Vaughn with his flowing locks and flaming fastball. Building on a strong 2017 campaign (12-6, 3.11 ERA), Clevinger is 3-0 with a 2.70 ERA in eight starts, allowing just 43 hits in 53.1 innings. His emergence as a top starter in an already-strong rotation is the Indians’ greatest hope as they hope to hang with the Yankees, Red Sox, and Astros in 2018. I’ll level with you – this was the biggest challenge of any team. There are still players you know about on the Tigers like Miggy, Victor, Zimmermann, and former ROY Michael Fulmer. But the lesser-known names are, well, lesser-known for a reason. Still, I’ll give the nod to McCann, who is a very solid catcher even if he doesn’t put up massive numbers. He is off to a solid start, batting .272 with three homers in 33 games. He’s also had the tough task of trying to guide one of the game’s worst bullpens over the years, but to Detroit’s credit, the team has held its own despite minimal expectations in 2018. Maybe the Wade Davis trade isn’t looking so bad after all. Soler Power has been maybe the lone bright spot in 2018 for the Royals. The 26-year-old former Cub is not only good (.316, 5 HR, 18 RBI) but clutch as well, hitting .346 with runners in scoring position. He figures to be one of Kansas City’s centerpieces for years to come. It may be time to stop thinking of Rosario as underrated. He is showing that his outstanding 2017 season (.290, 27, 78) is no fluke, posting a .284/9/27 line with an .854 OPS thus far in 2018. He burst onto the scene with a league-leading 15 triples in 2015 and is emerging as one of the better young players in the game. “Devo” was not immune from the struggles of Astros relievers last postseason, but was probably their most consistent bullpen guy in 2017 and again in 2018. Devenski’s short, two-plus-year career has been very impressive so far, as he is 13-10 with a 2.28 ERA in 127 games (including five starts). He allowed a measly 50 hits over 80.2 innings last year, and has a minuscule 1.13 ERA in 17 outings this year. Is Middleton the answer to the million-dollar question of “who is the Angels closer?” He’s on the DL right now, so that is still cloudy. But Middleton has made quite an impression since his MLB debut last year, going 6-1 with a 3.43 ERA over 80 appearances. After collecting three saves last year, he has racked up six thus far in 2018. If the Tigers were the hardest team to pick from, the Moneyball A’s are the easiest. I could have gone in several directions but chose Lowrie for two reasons: one, he’s been in the league since 2008 and many people figured he fell off the face of the earth; and two, Lowrie had a sneaky good 2017 season that nullifies the idea that his 2018 is some sort of fluke. But where did this come from? A year after racking up 49 doubles, the switch-hitting Lowrie is off to a torrid start, batting .331 with nine homers and 36 RBIs. Lowrie has anchored the three-hole in an A’s lineup that ranks 12th in baseball in runs scored and 10th in slugging percentage. How well has this trade turned out for Jerry Dipoto and Co.? Segura and Mitch Haniger, another strong candidate for this list, have been studs in 2018 for a Mariners team looking to end baseball’s longest playoff drought (2001). Segura swiped four bags last night and is in the midst of a third straight stellar season in which he figures to hit over .300 (.319 in 2016, .300 in 2017, .307 in 2018). It’s hard to figure out why Arizona parted ways with him after a 2016 campaign in which he collected a league-high 203 hits. Mazara looks like a star in the making on a rebuilding Rangers club. Mazara is batting .284 with 10 homers and 26 RBIs on the heels of two 20- homer seasons to start his career. Mazara drove in 101 runs last year when the Rangers scored 799 runs as a team, but will need to shoulder a bigger load as the club ranks last in the AL West in runs scored in 2018. Be the first to comment on "American League’s Most Underrated Players by Team"